Log homes often have decks that are supported by log posts. The bottoms of these posts are vulnerable to rot. If you are considering building a deck onto your log home, here’s one idea to help you prevent rot. 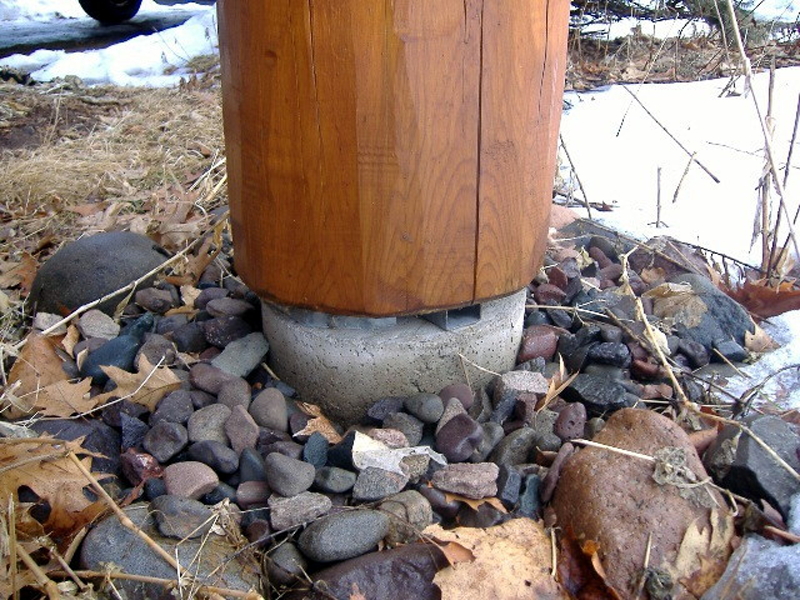 To prevent rot: Providing adequate airflow under and around your log columns or posts. This is the best way to protect log posts from wicking up water and eventually rotting. Using kiln-dried cedar logs for posts is another way to prevent rot because cedar is the most rot-resistant wood to use where the logs are directly out in the weather. Edmunds & Company uses a combination of techniques to prevent decay in these exposed and vulnerable posts. 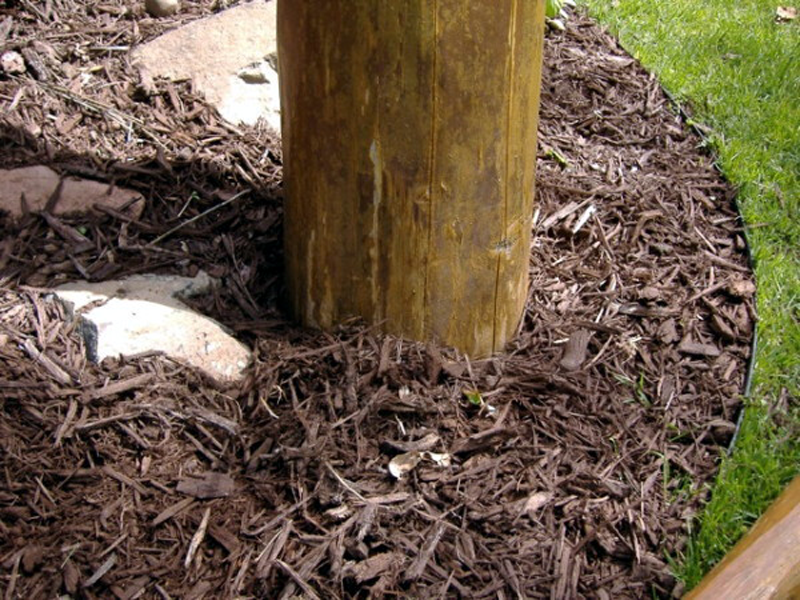 Though this mulch may look nice, it holds moisture up against the log and can contribute to the log rotting.